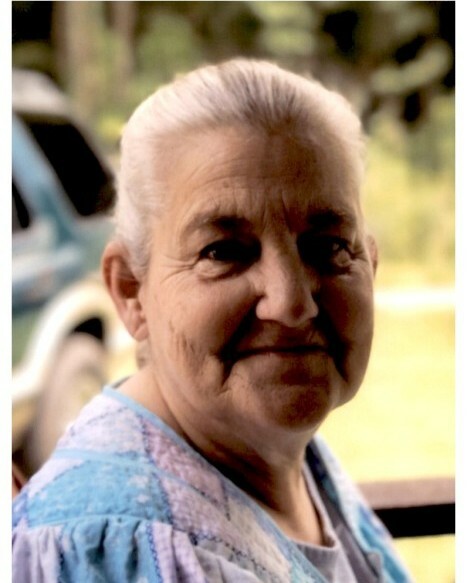 Linda Lou Gilliam, 64, of South Shore, Kentucky, passed away Sept. 3, 2018 at her residence. She was born in Portsmouth, Ohio, August 29, 1954 a daughter of the late James Robert Kelley and Violet Louise Traylor Kelley. Preceded in death by one brother, Paul Kelley, one sister, Diana Crabtree. Surviving are her husband, James Gilliam, three sons, James (Tonya) Gilliam Jr. of South Shore, KY, Scott (Lisa) Gilliam of Greenup, KY, Brian (Amanda) Gilliam of South Shore, KY, one daughter, Amanda Gilliam of South Shore, KY, three brothers, Randall Kelley, Jerry Kelley and Tim Kelley all of South Shore, KY, six sisters, Ruby Wright, Joyce Meadows, Patricia Cyrus, Brenda Bomar, Missy Haywood all of South Shore, KY, Tammy Caldwell of Ohio, eleven grandchildren and seven great grandchildren. Funeral services will be held 11 A.M. Thursday, Sept. 6, 2018 at the Roberson Funeral Home in South Shore, KY with Pastor Anthony Keeton, officiating. Burial will follow in Gilliam Cemetery, South Shore, Kentucky. Friends may call at the Funeral Home from 6 till 8 P.M. on Wednesday Sept. 5, 2018 and from 9 A.M. till the Funeral hour on Thursday.